Today Bachmann Europe Plc. announced their plans for the next 18 months, or so (which I know some will find amusing as progress on some of the previously announced models have certainly taken, or are taking longer longer than their intended 18 month timescales for a number of reasons), for both the Bachmann Branchlines (00) and Graham Farish (N) brands. They also provided updates on the current work in progress. I outline below the couple of items of Southern / Southern Region interest, much centered around the 30th anniversary of Network SouthEast including a Class 47, Class 166 Networker, and Class 08 in NSE liveries. Bachmann also advised that 2016, like the last couple of years will also have to be a year of consolidation to catch up with previously announced models with addition of new resources being put into the areas of CAD and tooling, which is generally where the currently bottlenecks are occurring, as opposed to production . Overall in addition to the two new tooled EMUs over 300 new items (liveries) have been added to the two ranges. A further development will be the addition of passengers to coaches and loads to wagons. Selected coaches in the Mk1 and Mk2 range and some of the EMUs will soon be available with factory fitted passengers. The headline new tooling is the Class 414 (2 HAP) EMU that will be produced in Blue and Grey with NSE branding, BR Green, Blue and Grey and Network SouthEast livery. 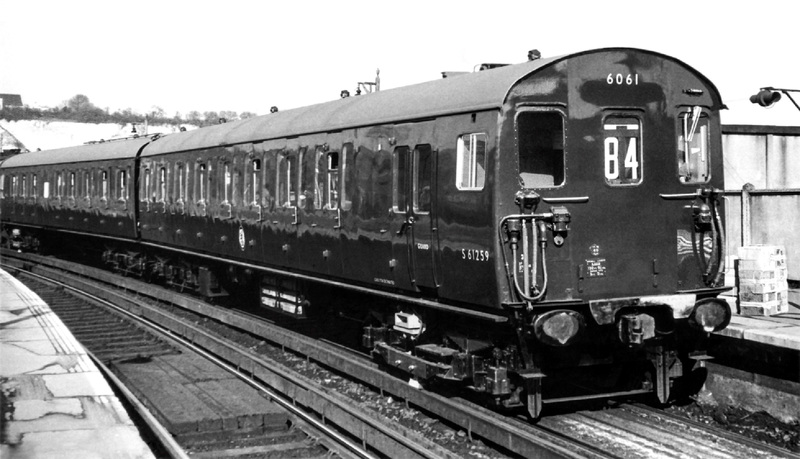 The 2 HAP was introduced between 1957 and 1963, for outer suburban services, totaling 209 units the majority were of Mk1 design, numbered 6001-6173, whilst a batch of 36, numbers 5601-5636, were SR Style slam door bodies built on the underframes of older withdrawn units. The last of the class were withdrawn in 1995. The N Class 2-6-0 will once again be available in BR lined black livery with early emblem as 31874, 1406 in SR black livery and as Number 1854 (again) in ‘The Thanet Flyer’ train set pack with two Bulleid coaches (BTK & CK from exisiting tooling) in SR Malachite Green (albeit incorrectly SR branded as the coaches are based on the later post 1950 built versions). The E4 0-6-2T will be released as 2517 in SR Green and 32494 in BR Lined Black with early emblem. There will be further releases of the SR PLV in SR Livery, PMV in BR Green livery with black ends and the CCT in BR Blue (weathered) and in Departmental Green liveries. 30-430 Capital Commuter Train Set Pack Class 416 in NSE with Art Deco low releif station building and track. 30-165 The Thanet Flyer Train Set Pack as desribed above. Work in progress includes the SECR Birdcage Coaches and the LBSCR H2 Class 4-4-2 Atlantics which are now in the drawing office. The USA tank for (Model Rail Magazine) is now about to move into production. New tooling in N Gauge is the Class 319 EMU in Network South East, Thameslink and ‘Northern Powerhouse’ Northern Rail liveries. 372-875 Class 319 No. 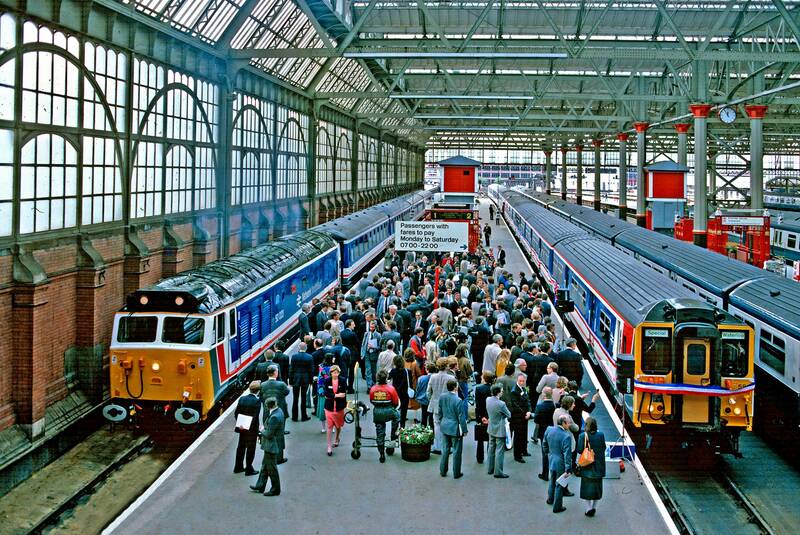 319004 in Network SouthEast (original dark grey) livery Picture courtesy and copyright of Dennis Lovett. 72 of these four car dual voltage units were built by BREL in York during 1987/8 for the launch of the Thameslink services between Bedford and Brighton. Also announced are a couple of train packs: ‘The Capital Connection’ comprising of a Class 47/4 and 3 off Mk1 coaches in NSE livery and ‘A Day at the Races’ featuring a Class 3MT 2-6-2T number 82001 in BR Lined Breen livery with 3 off BR Mk1 Horseboxes in BR Green. From a work in progress perspective The SECR Birdcage coaches are still at the development stage whilst the SR 4 wheel utility vans have now been approved for production along with the BR standard 4MT (80xxx) 2-6-4Ts. The Queen Mary brake vans are in the process of being shipped. I would like to take this opportunity to thank Bachmann for their kind hospitality at their media event today. Welcome news although I thought Bachmann had already issued N Class No. 31874 in BR lined black livery with early emblem as 32-150Z? Green 2 HAP 6061 was introduced 21st March 1959 before receiving Blue livery on 29th July 1968. Date for yellow warning panel isn’t currently known. Further to my earlier post I’ve just looked up 31-391 Class 414 2 HAP No. 6062 in BR blue & grey livery. Unit 6062 received blue /grey livery c.Aug-82 before a sidelong collision with 4 CIG 7345 at Wimbledon Park depot 24-Oct-84 when its DTC (75380) was damaged and withdrawn. During the accident it had been coupled to 6061 (also damaged) receiving 6061’s DTC (75379) thence back into traffic 28-Mar-86. 6062 received AWS in Jan-86 before renumbering as 4302 in Jun-88. So I wonder which DTC number will Bachmann model? Colin thanks for the additional information as always especially as such units are outside my usual sphere of knowledge. Painted NSE livery 20-Jan-89 previously blue /grey 2 HAP unit 6141 was renumbered 4322 Jun-88 before reformation into 4 CAP 3333 from Oct-91 (with unit 4201 – a blue/grey liveried hybrid of 1951/1957 vehicles). Of mixed NSE and blue /grey livery 4 CAP unit 3333 was withdrawn 6-Jan-92. Further to my earlier posts I have now confirmed that N class 31874 was produced as a special edition for Beatties in a wooden case as cat. no, 32-150Z. It came with nameplates ‘Brian Fisk’ as I understand it appeared with these in preservation on the Mid-Hants Railway. This brings an interesting observation as to what constitutes a limited edition. Presumably limited editions are only in place as long as the contract exists with the commissioning company – for example Ballards of Tunbridge Wells commissioned a ‘limited edition’ SR container wagon with W.G. Harris & Co.thereon from Dapol. Following the closure of Ballards’ shop this now appears in the Dapol range. With Beatties long gone the 31874 the limited now appears to pertain to just the enclosed nameplate and wooden case and /or at that time. No doubt the merits of this will be discussed on various forums elsewhere. Some more 2 HAP information…. Assuming Bachmann aren’t revising the EPB /2H roof tooling it is worth noting that only the 1951-type Phase units 6001 to 6042 had external lighting roof conduits. The passenger windows on Phase 2 units (6106 on) were fitted with a rubber gasket resulting in an external window frame. They also had one-piece lavatory windows without sliding ventilators. Thanks for the summary. Seems a good idea for Bachmann to have another consolidation year given the number of previously announced models that still seem some way off production. If they do ever catch-up it will be bad news for some forum members as they will have less to complain about.